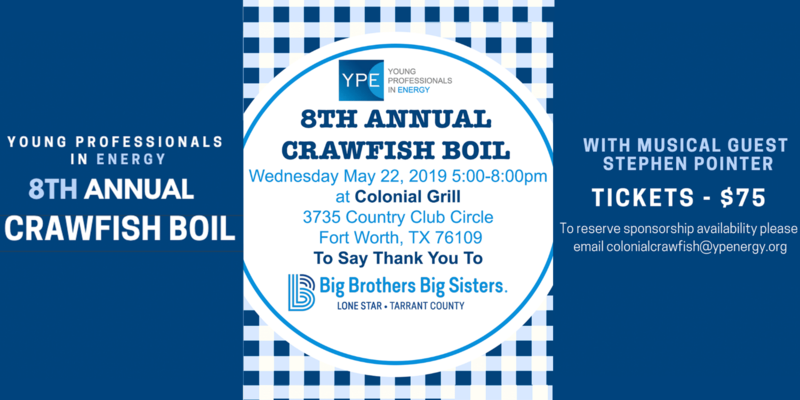 Come join Young Professionals in Energy on May 22nd at the Colonial Country Club for our 8th Annual Crawfish Boil at this year's Charles Schwab Challenge! Big Brothers Big Sisters is the oldest, largest and most effective youth mentoring organization in the United States. They have been the leader in one-to-one youth service for more than a century, developing positive relationships that have a direct and lasting impact on the lives of young people.